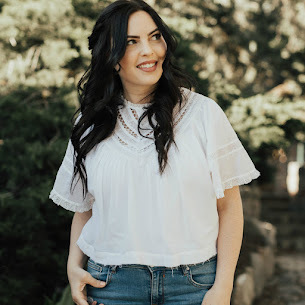 Janelle In Real Life: a weekend outfit & a to adorn GIVEAWAY! 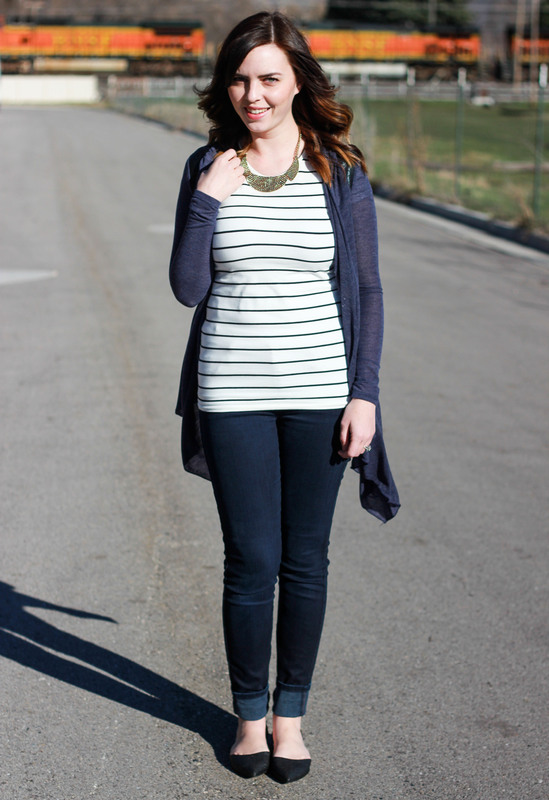 a weekend outfit & a to adorn GIVEAWAY! Happy Monday, my friends. Hope you all had a great weekend! I ran a 5k with my little fam (baby in the stroller came along) and we also made cafe rio style pork salads so basically it was the best weekend ever. A little cameo from the train that runs behind my house everyday! Every time it goes by my little guy yells "Duuuh!" which means train (apparently). 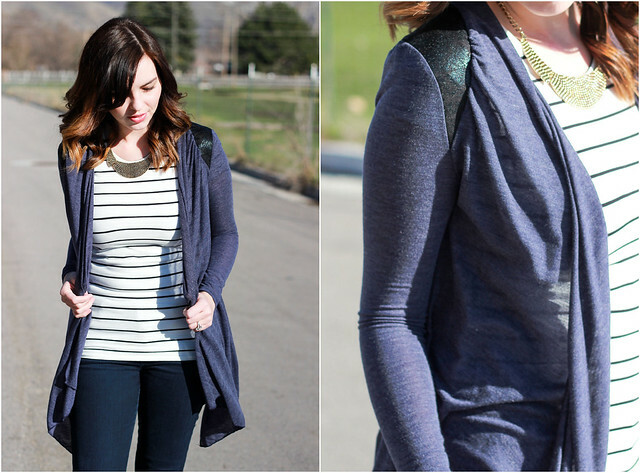 This cardigan is amaaaazing, you guys. It's cozy enough to wear around the house and pretty enough to wear out! And I love that faux leather shoulder detail. 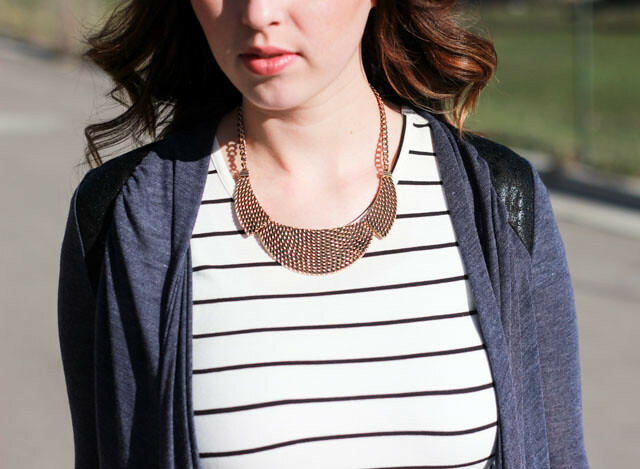 To Adorn is a fab website that features boutique deals everyday! It's on my "check everyday" list to see if anything I'm dying to have is there. Definitely check it out for great deals on gorgeous boutique pieces! 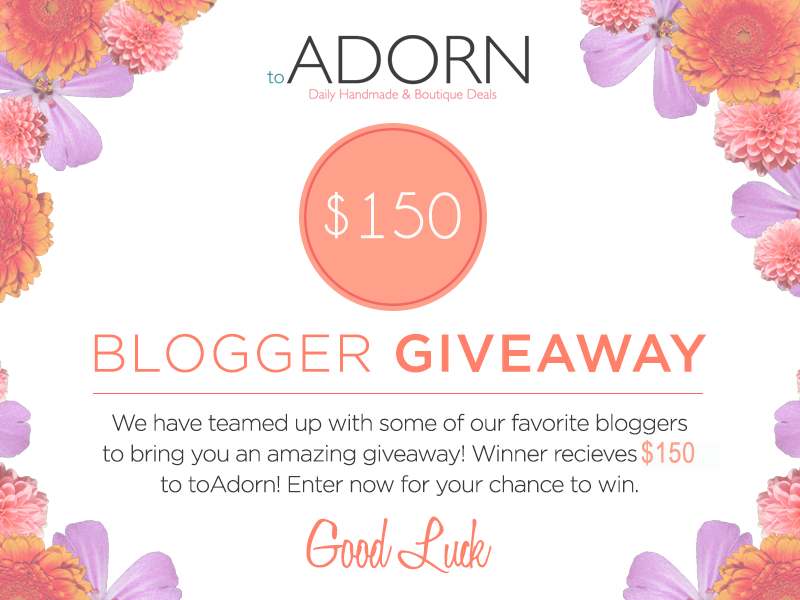 And to make things a little sweeter, To Adorn has teamed up with these gorgeous ladies and I to bring you a giveaway!! you have such an adorable blog! i just love it. and i love that look too! Haha your little guy is so cute :) Loving the stripes and that simple, bold necklace! Nice job on the 5k! Great giveaway!